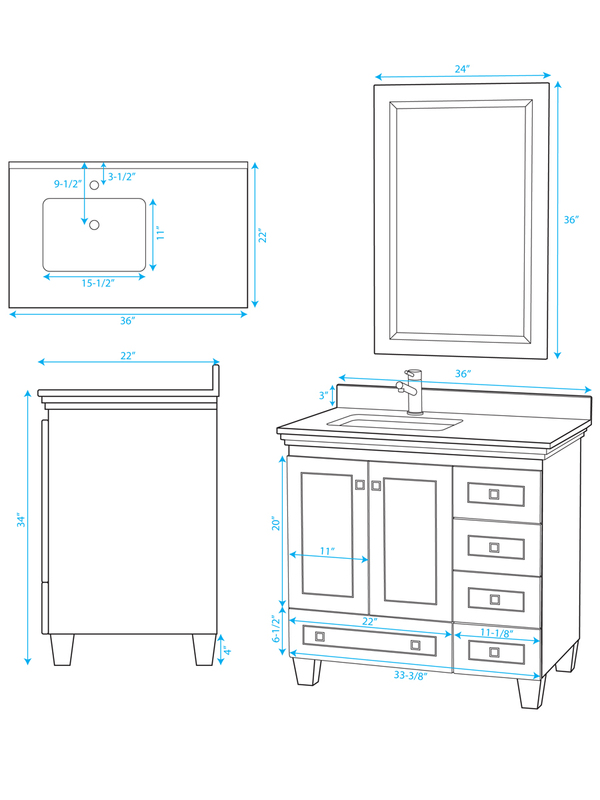 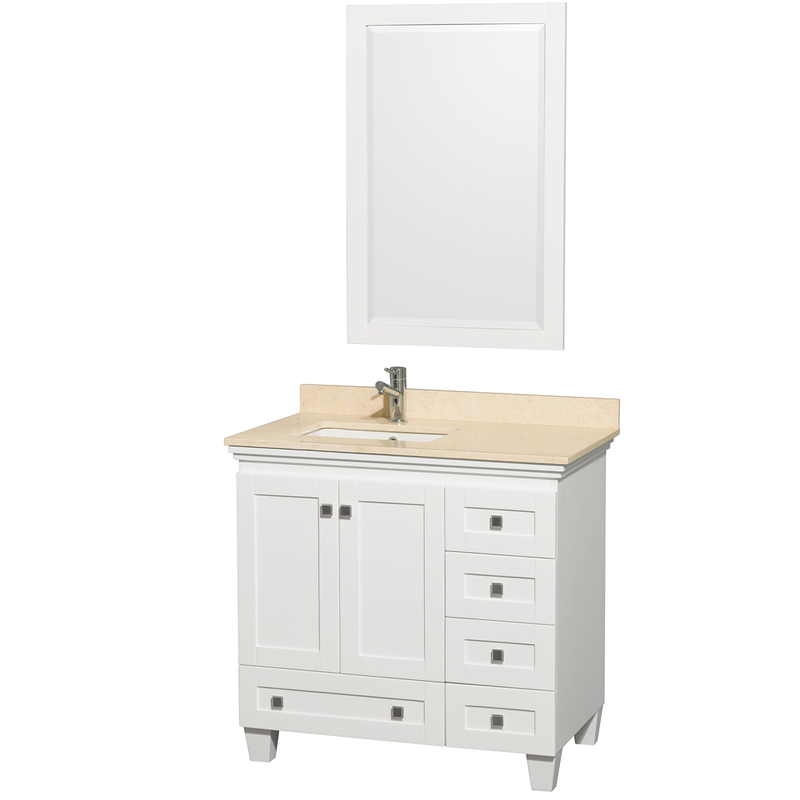 The 36" Acclaim Single Vanity features a solid oak cabinet with marble top options to give you a versatile, yet stylish vanity for your home. 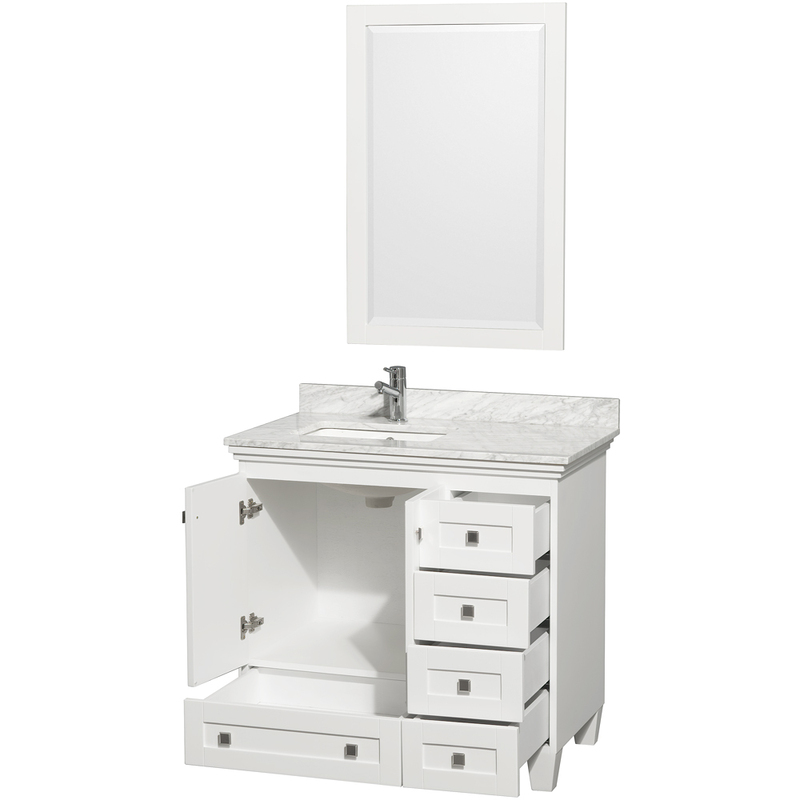 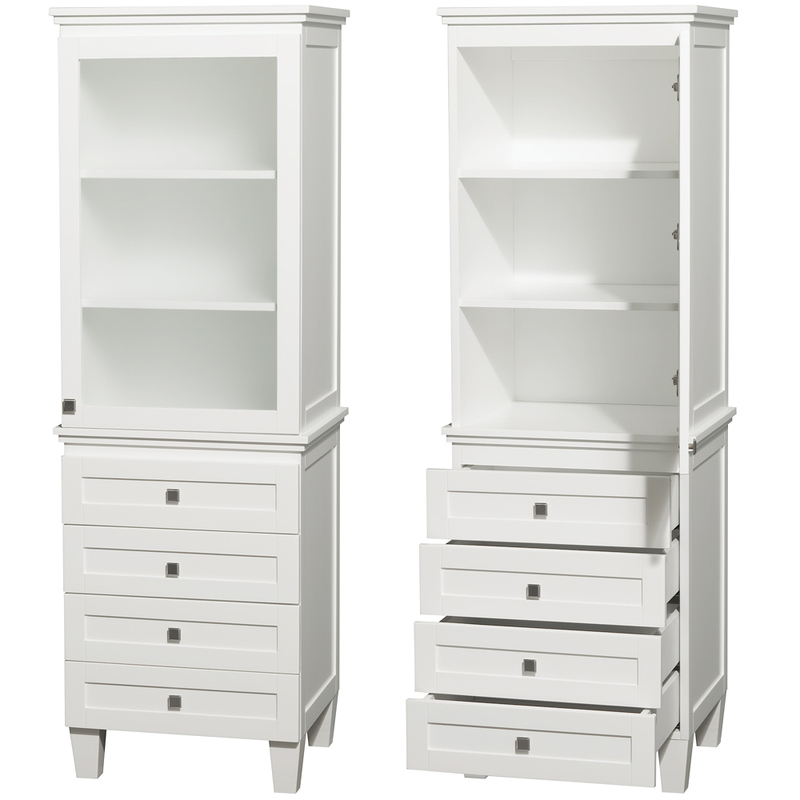 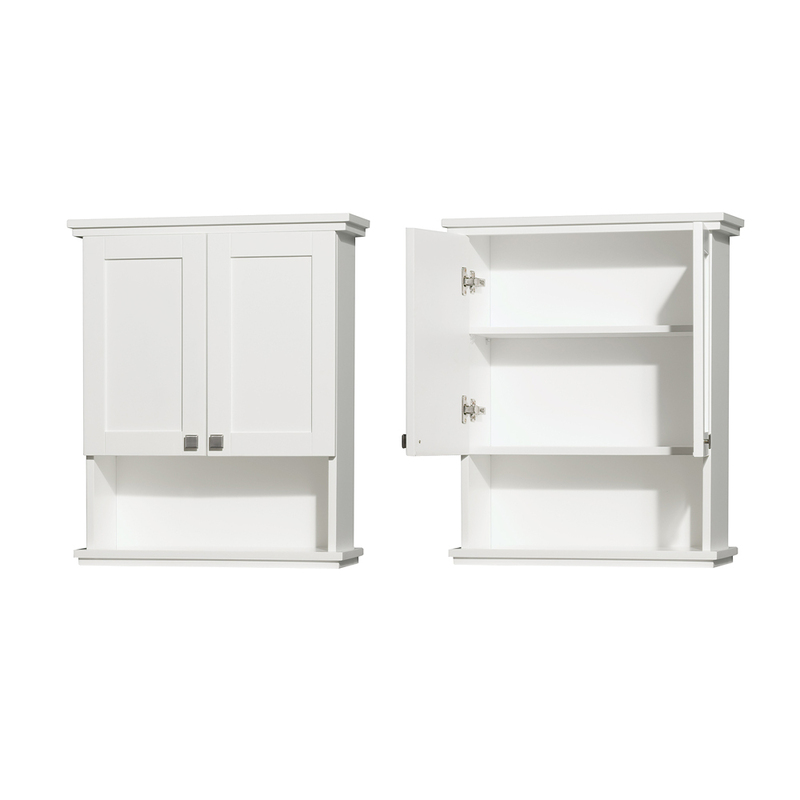 Its cabinet is finished with a gorgeous White finish and features a double-door cabinet that's accompanied with five fully-functional drawers for plenty of storage space in a small vanity. 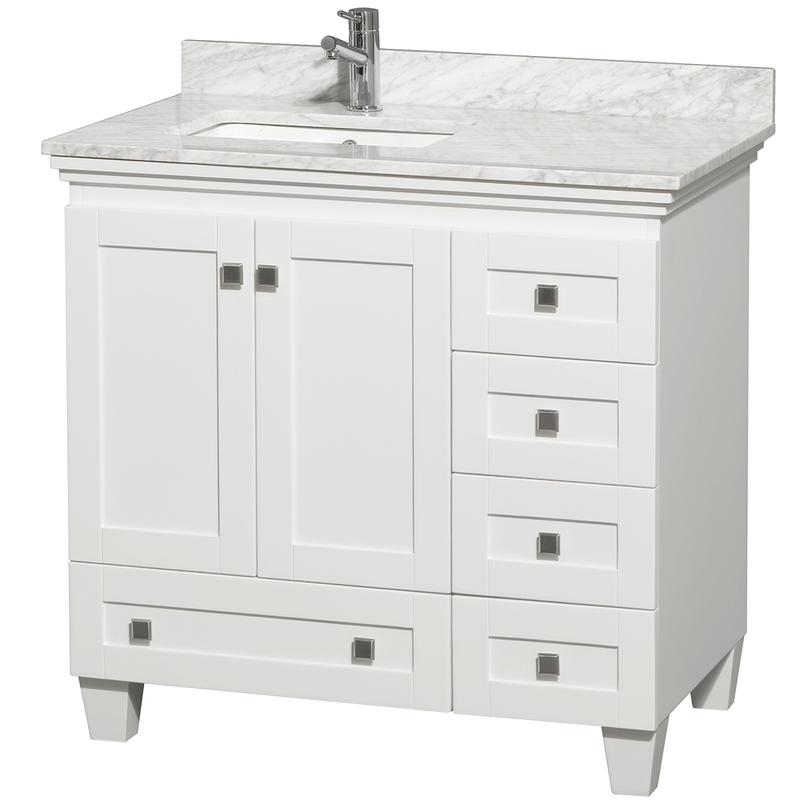 Each cabinet door and drawer front is adorned with a Brushed Chrome finished knob. 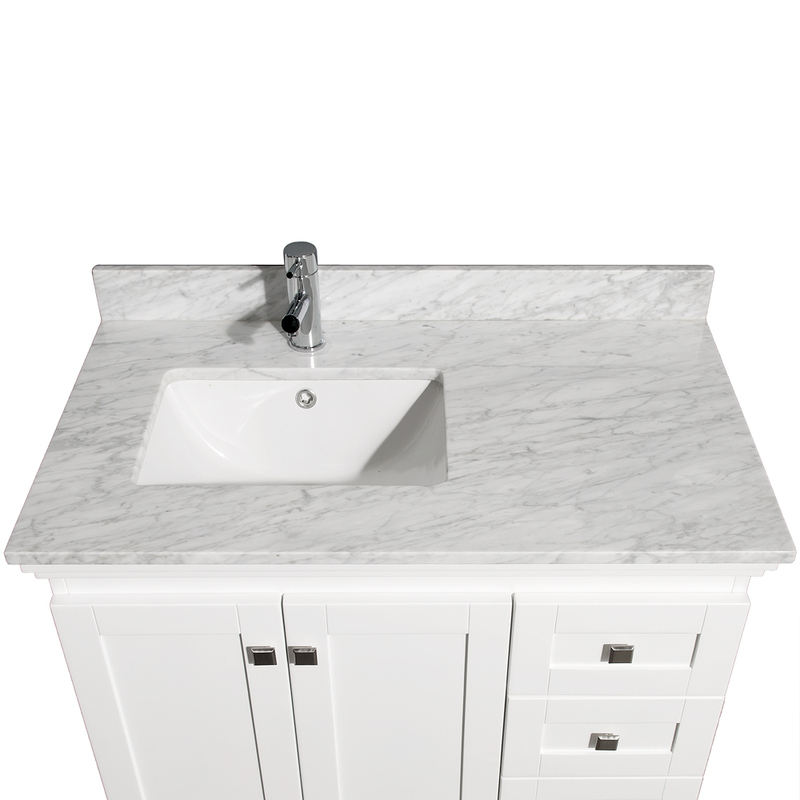 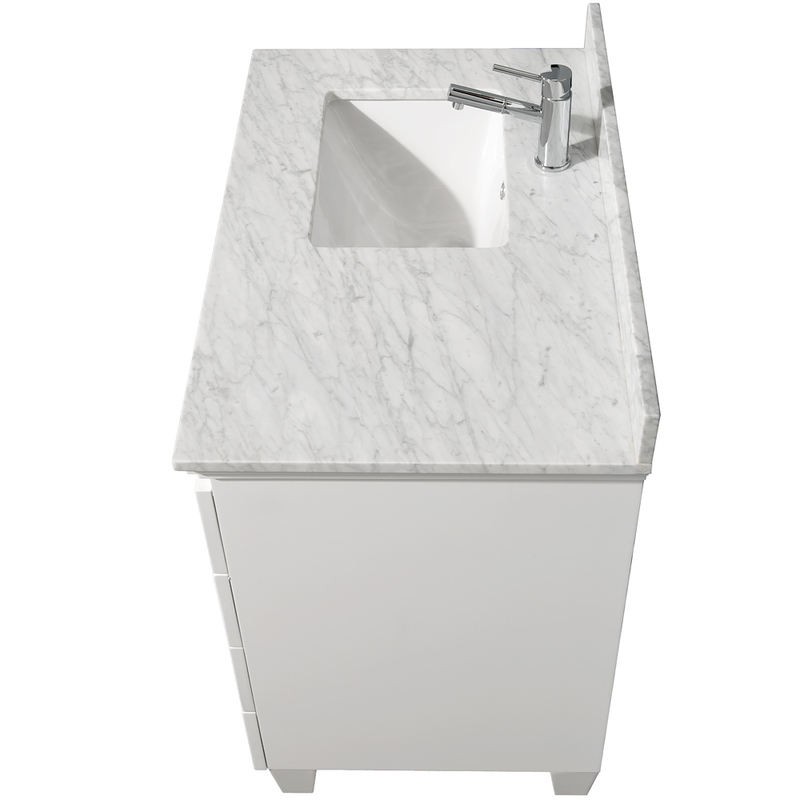 The top can be made of Carrera White or Ivory Marble and comes with a white porcelain undermount sink and a 3" backsplash. A matching mirror is also included with the Acclaim. 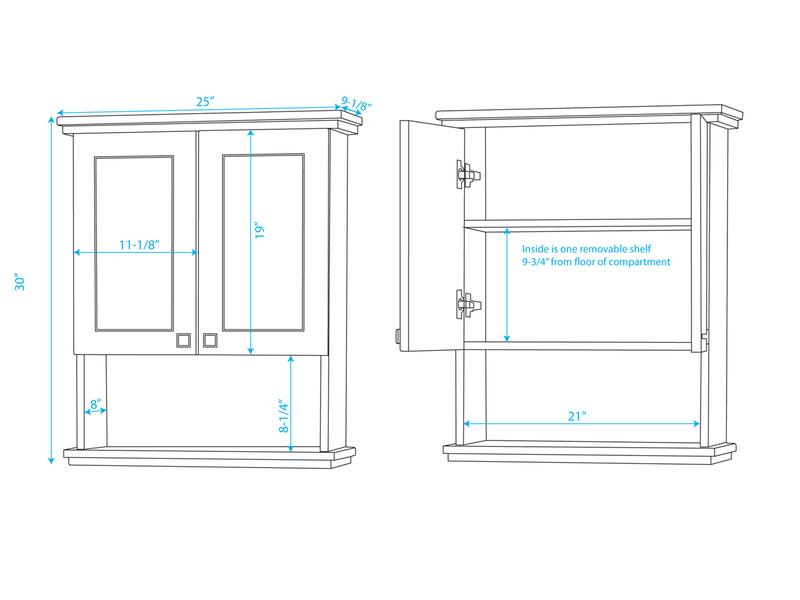 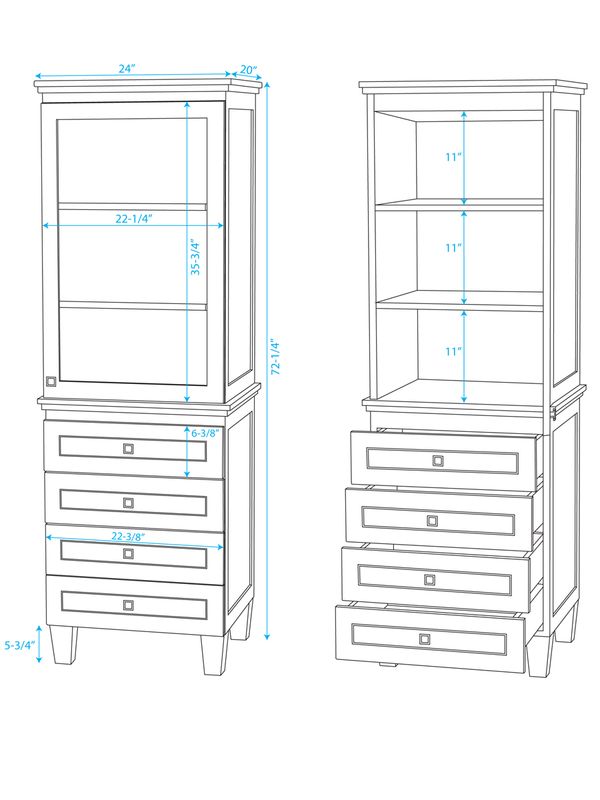 Add the linen tower or wall cabinet for additional storage space!